Whether you have one external door that you’re looking to replace or a variety of doors to the rear of your property that need work, Martindale Windows & Developments have a wide range of Rear Doors to choose from that will add both style and security to your home. By sourcing the finest range of doors from some of the industries leading suppliers, we can source the ideal solution for your property no matter what you’re looking to achieve. So, whether you require a sleek and secure pair of French Doors that open up into the garden or would like something more sophisticated in the form of a revolutionary Bi-Fold Door, Martindale are the number one choice throughout Northampton & beyond. We had our front doors replaced and outside brickwork repaired. The doors look amazing and were fitted by a kind friendly team. Would recommend. Had bespoke wooden windows made and fitted for Edwardian school building. Quality is amazing. Service was best I’ve ever had from any tradesman. Would defiantly highly recommend. Martindale supplied and fitted front and back doors. Quote process quick and pain free. Experienced advice given. Staff extremely friendly, good quality and secure doors. A good job all round. Thank you. I have just had a patio door replaced with a french door, I am very happy with the service and quality of the product. The installers did a very good job on the day. Great service, thanks guys! Martindale recently supplied and fitted some bi fold doors, a roof lantern and a window for me. All top quality products and fitted perfect. Staff were fantastic, friendly and helpful for anything we needed or wanted to know. We are very pleased with the work and the products and would highly recommend. Fitted a new composite front door. All work carried out to a very good standard. Fitters were prompt, efficient, tidy and conscientious. Would recommend (and I’m very fussy!). Excellent service from first point of contact through to the installation carried out today. Always on hand to help with any questions, advice and extremely knowledgeable. Thanks again guys, won’t hesitate to recommend you to friends and family. A friendly, professional family business that gave their personal care and advice from start to finish. Excellent product, great workmanship and a really nice team. Nothing was too much. We had a porch and front door replaced, and a replacement window. The guys did a really nice job on planning and refitting everything. After the work was done, one night we found one of the porch windows had been broken. Martindale ordered a replacement for us and fitted it within a week. Very happy with the whole service. For more information on our doors or to arrange a no-obligation quotation, please contact us. 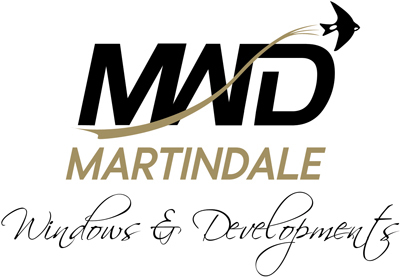 Martindale Window & Developments Limited is an Introducer Appointed Representative and provides a pure client Introduction through Improveasy Ltd., a company registered in England and Wales (Co. Reg. number 7807352). Registered Office: Manchester Business Park, 3000 Aviator Way, Manchester M22 5TG. The firm is authorised and regulated by the Financial Conduct Authority (FRN 708623) as a Broker, not a Lender, and offers credit facilities from a panel of lenders. The credit is subject to application and status.